Still, Pretty Good Year: Part V. World Series - Cursed To First - Sox and Pats forever. By the time he pitched his first World Series game in 2004, Pedro Martinez was well past his prime, though he summoned as much as he could of his old fire. By the time Josh Beckett was an inning in to his appearance in the 2007 World Series, it was his second Fall Classic by the tender age of 27. 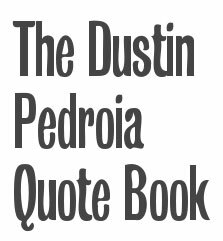 Going to the World Series with Josh Beckett in 2007 was like getting to go to the World Series with the 1999 version of Pedro. He was vicious. He was ruthless. He was aflame on the mound, calling down spirits. His fastball was filthy. His curveball was devastating. He opened the 2007 World Series with three straight strikeouts. Here in Game 1 I felt a sense of unreality similar to what I experienced in 2004, as the Sox scored run after run and the first game of another World Series began looking more like an interleague blowout you might switch off in the middle of the regular season. “Are we dead?” I IMed Sam in disbelief. “Is this heaven?” Sometimes, watching it on DVD, I still feel that way. This was thought to be Curt Schilling’s last stand, and would wind up being a bullpen performance for the ages, but what I remember most about this game, now that some time has passed, is ‘God Bless America’. It was sung per tradition during the 7th inning stretch, by, of all people, Boys II Men. This was in keeping with a strange 90’s theme to postseason performances, which also saw a random appearance by Paula Cole. If you’d asked me what I thought of Boys II Men in their heyday, which was approximately the same time I was investing most of my disposable teenage income on fishnets and eyeliner, my response probably would have been to mimic sticking my finger down my throat. They were the epitome of cheesy, manufactured, personalityless pop music. And yet when they came to sing during Game 2, the intervening years of mediocrity in the music industry made them look like ghosts from a generally more talented age. I remember that for this game, like many of the games, I was at my best friend’s house in Brookline, watching with her and her boyfriend Ryan, also a good friend. And for some reason, Boys II Men or no Boys II Men, I remember that moment so clearly, the warm mellow harmonies from the a capella group booming over a quiet, rapt crowd at Fenway Park on the TV, the sudden sense of the cold vastness of the world and our contrasting coziness in this unexpected, perfect moment. A moment where suddenly it occurs to you that you are in the midst of joy it will take you years to fully fathom. Believe me, I never thought I’d feel that way about Boys II Men. 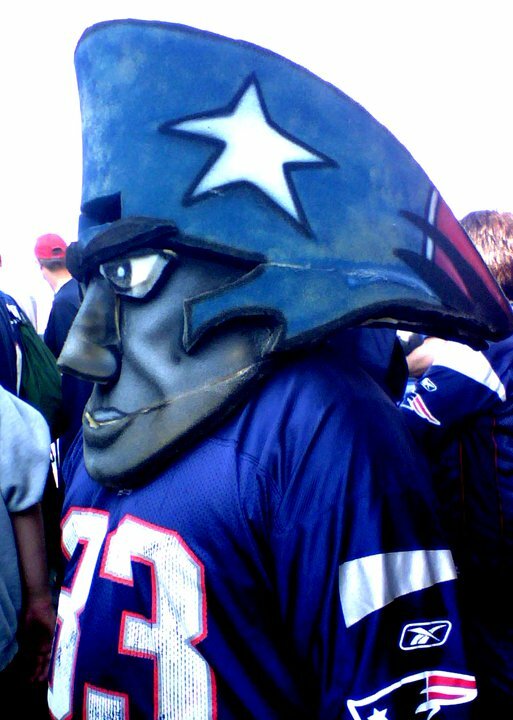 I think some similarly unrealistic nostalgia was also the basis for my other most vivid meta-memory of this game: Dan Shaughnessy’s vitriolic column the following day, Oct. 27 (the anniversary date of the ’04 victory, no less). It plopped into our punch bowl after all the happiness of Game 2, written with the bitterness unique to someone who knows his influence is waning. Really. It has come to this. The Sox are so good and they've been clutch for so long (five straight postseason wins and six straight Series wins) that they've spawned a small legion of new fans who have no idea what rooting for the Red Sox was like. And so now we have some alleged "fans" who aren't satisfied with just another world championship. They want the cherry on top. 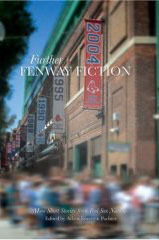 They want all the Fenway trappings to go along with it: "Sweet Caroline," "Dirty Water," the Dropkicks, the Irish Step Dancers, and Papelbon Riverdancing on the Fenway lawn with a bottle of Korbel in his pitching hand and a Luis Tiant cigar in his mouth. It's no longer about the contest. Now it's performance art with style points. Peter Gammons, the greatest baseball writer of them all before he became Hardball Guru of ESPN, yesterday said, "Right after the game Thursday, I ran into a guy who said, 'I hope they lose a couple in Denver so they can come home and win it.' Wow. Now it's not just about getting a Mercedes. They want a blue Mercedes." HOW DARE YOU JUDGE YOURSELVES WORTHY!? How dare you presume to make requests of the fates? 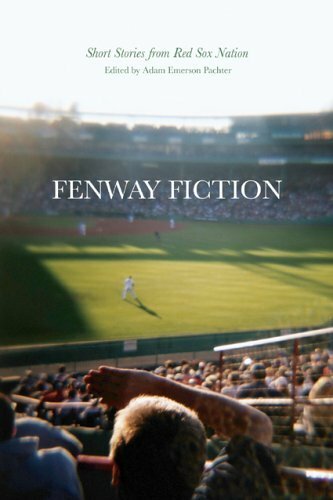 How dare you venture the thought that everyone’s had on their minds at least at one point or another, that we still wonder and fantasize about what it would be like for the Red Sox to win the World Series at Fenway Park for the first time since the turn of the 20th century? The gall! The audacity! Look at it this way: that’s the last thing left. It’s the last stone of the Red Sox’s previous legacy still unturned. Fenway Park has seen brilliant and important games—Game 6 in ’75, Games 4 and 5 in 2004—but it has yet to be officially consecrated in our lifetime with a Championship victory at home. And I don’t think there’s an honest Red Sox fan on the planet who wouldn’t say they’ve wondered what it would be like, or thought about how it could actually be brought into being. I’ve heard it said about babies born during or after 2004, “Awww, he / she will never know a world in which the Sox haven’t won the World Series recently. Isn’t that great?” And yes, I think it is great. Maybe there’s a certain blessedness about that ignorance. Maybe there’s a certain beauty in Red Sox fans so confident, so comfortable with a team that’s finally given them reason to be. Maybe that’s the sign we’ve finally arrived at the world we all dreamed about for so long. Unless, of course, we weren’t really dreaming, but rather delighting somehow in the misery. I suppose there are some, like Shaughnessy, who fall into that category, and their bitterness now makes me more frustrated than even the most ignorant statement I’ve heard out of the mouth of a ‘pink hat’. At least the ‘pink hat’ has the general right idea: that sports, and winning, are to be enjoyed. They are to be reveled in. They are life affirming and social and fun. You know what would make all of the blasphemous forgetting worth it? If in another three years nobody remembers what the Curse of the Bambino was, either.